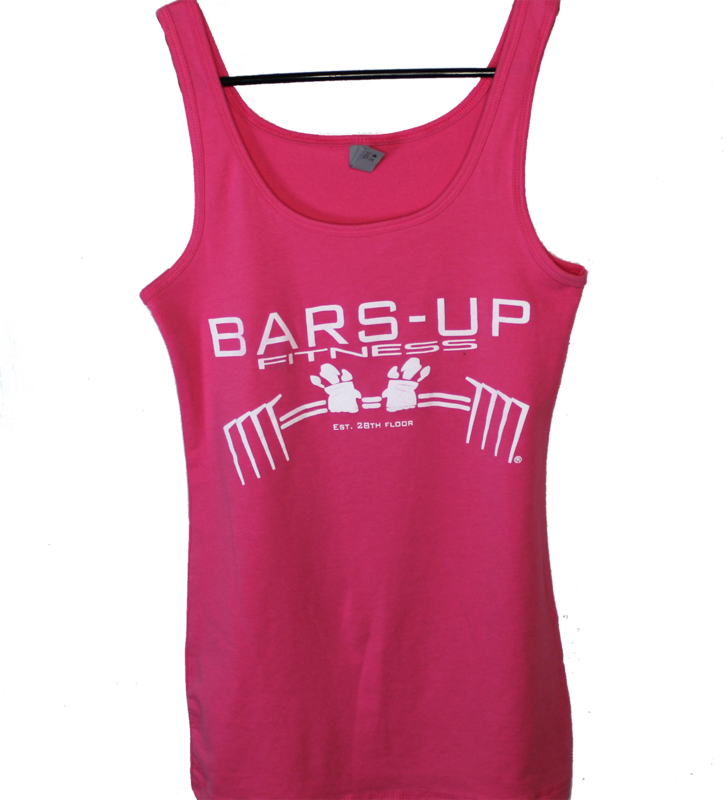 Look and feel your best with the Bars Up Women’s Tank. 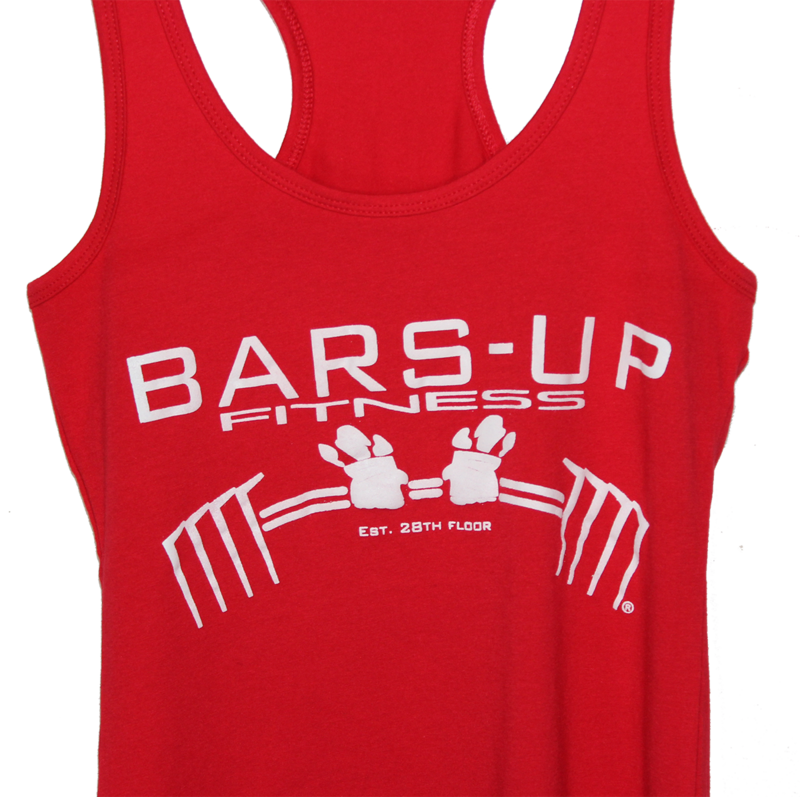 This shirt is a blend of soft ring-spun cotton, polyester and spandex. It’s pre-shrunk and made to withstand brutal workouts and multiple washes, while still maintaining its Support and comfort. 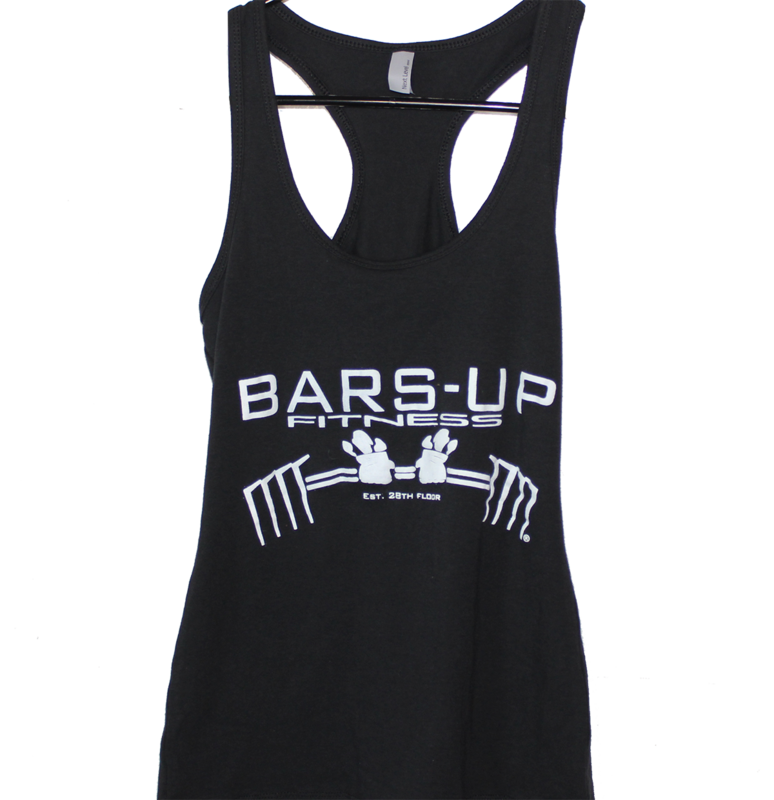 This tank features a flattering scoop neckline, secure fit, and racerback. 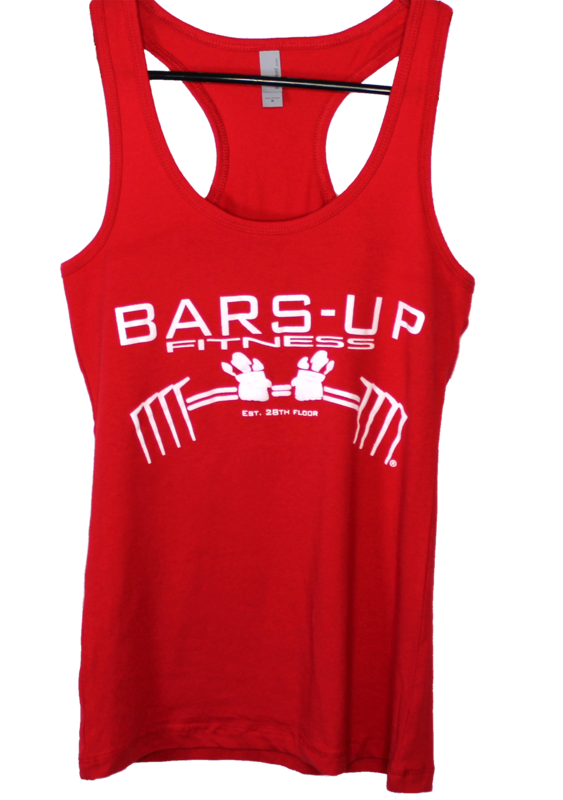 This tank top is currently available in black, red and pink.